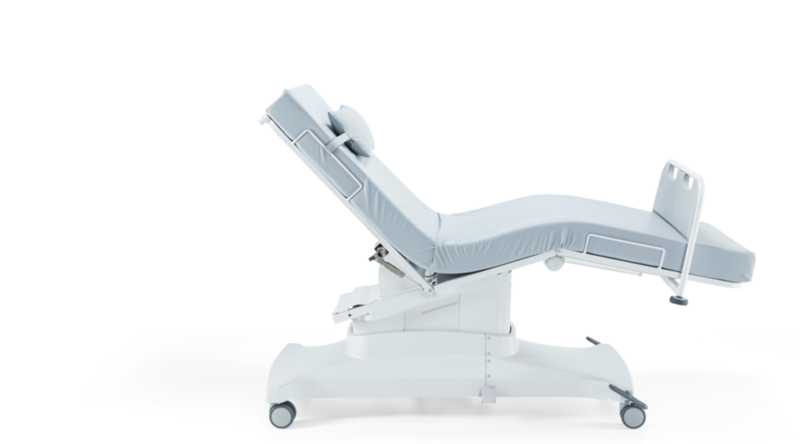 Sit, recline and relax in unequalled stability, safety and comfort thanks to the convenience of steeples positioning technology. 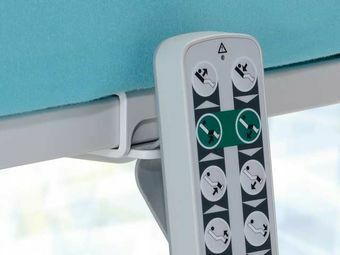 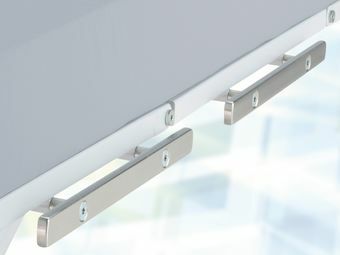 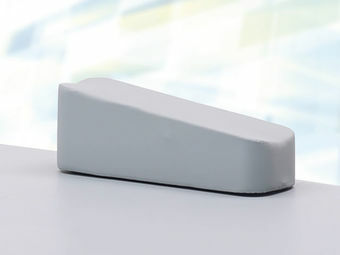 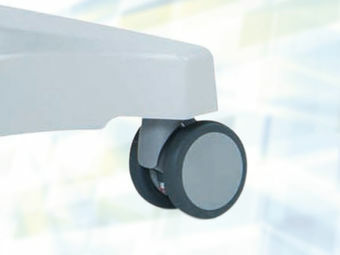 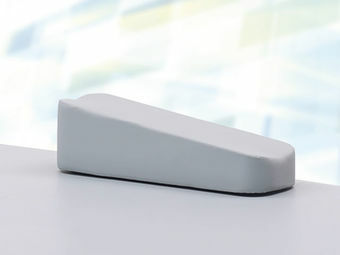 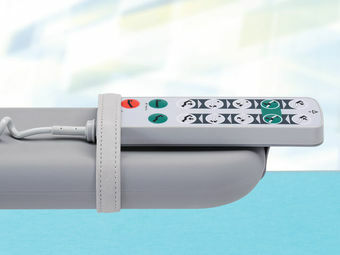 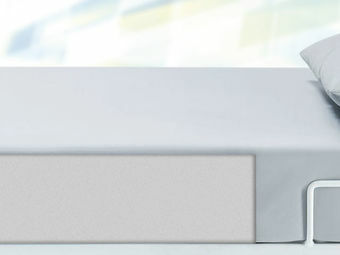 The five intelligent managed motors offer a steeples movement of back-, seat- and foot part. 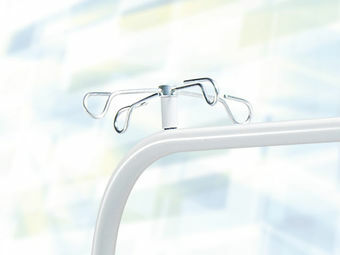 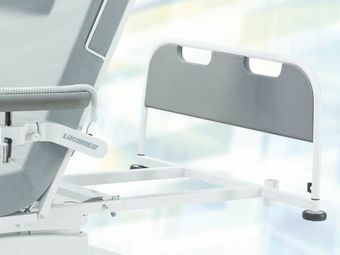 An additional height adjustment motors ensures not only an easy step in and out for the patient, it also offers an easier treatment for the staff. 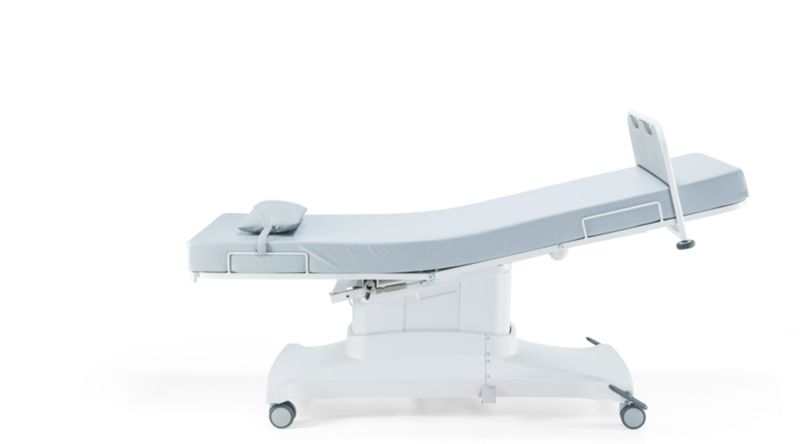 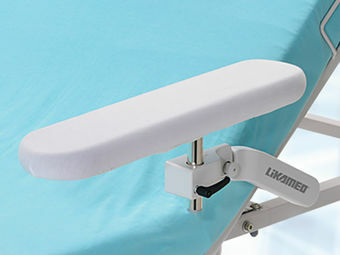 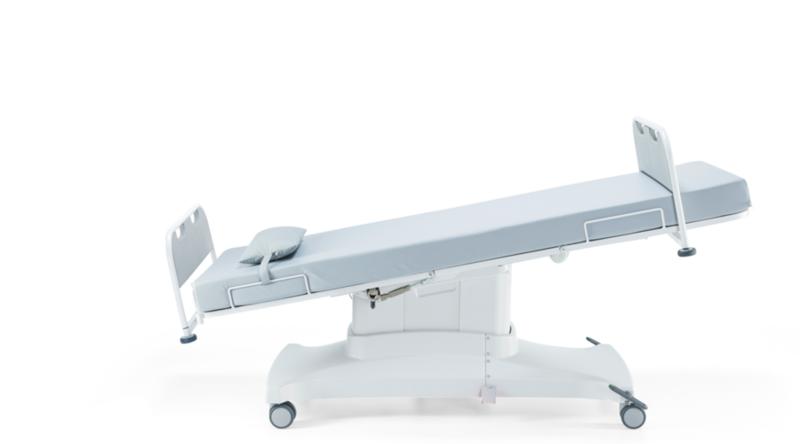 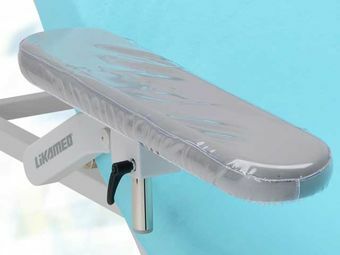 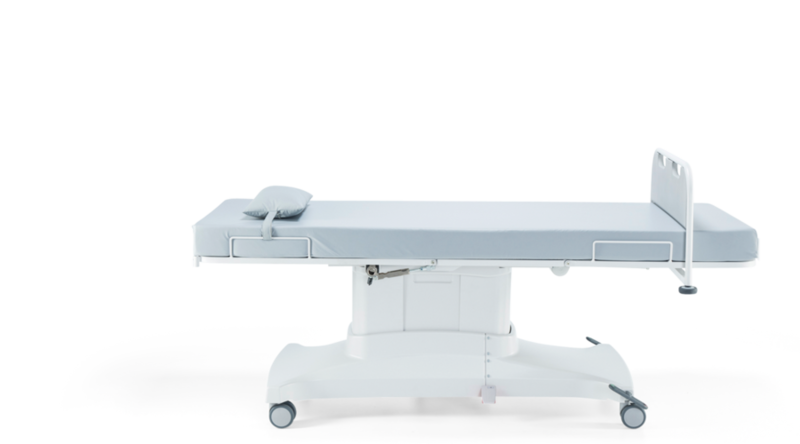 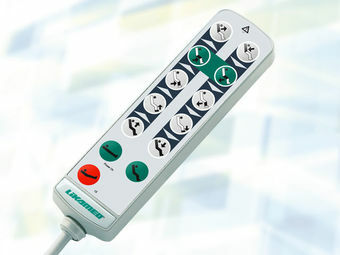 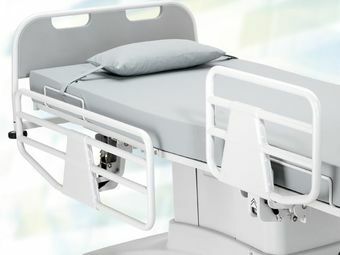 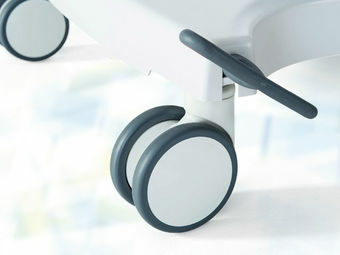 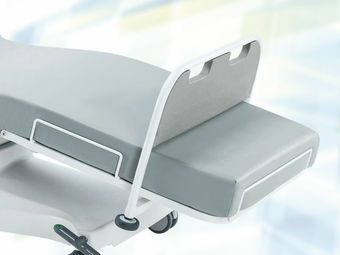 The motorised foot rest adjustment makes the patient even more autonomy and comfort. 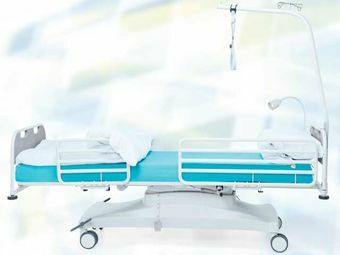 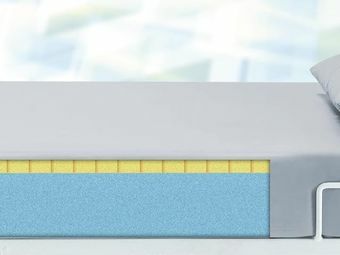 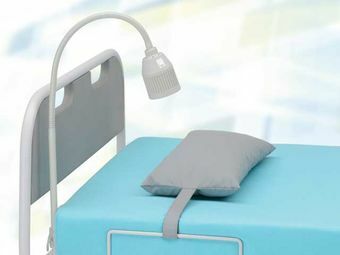 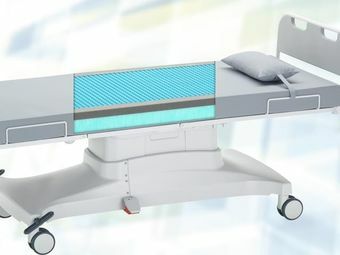 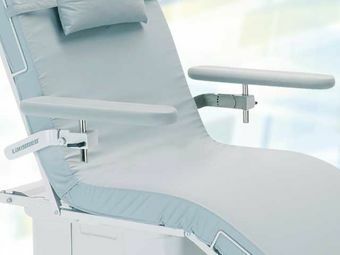 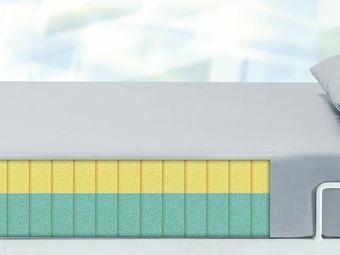 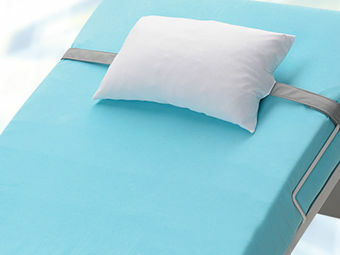 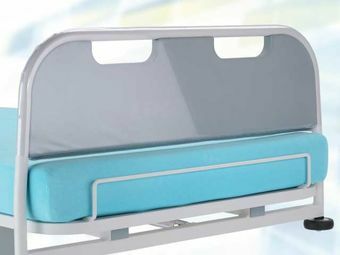 The emphasis is on patient well-being through ease of access, a comfortable mattress of generous length and width (and free from uncomfortable seams). 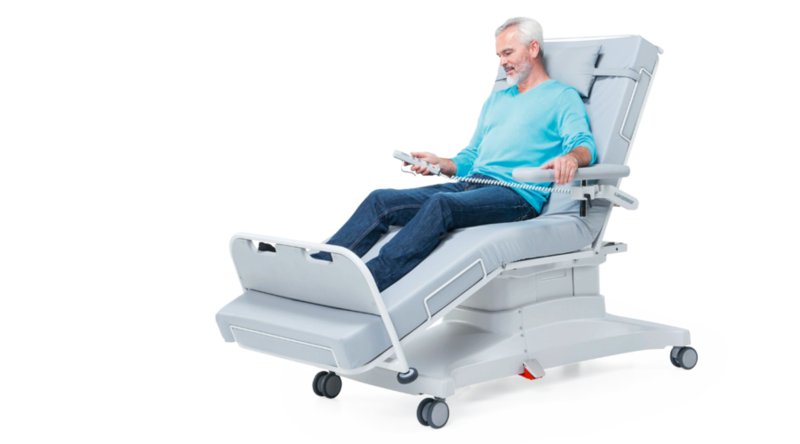 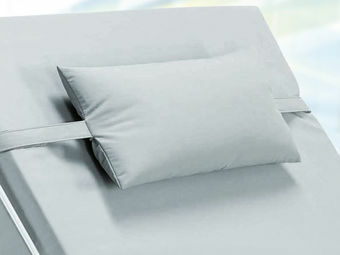 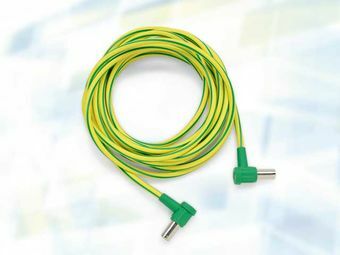 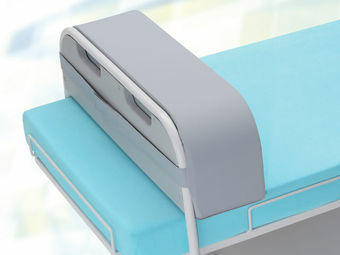 This ensures ideal conditions and comfort for patients undergoing treatment for several hours or overnight. 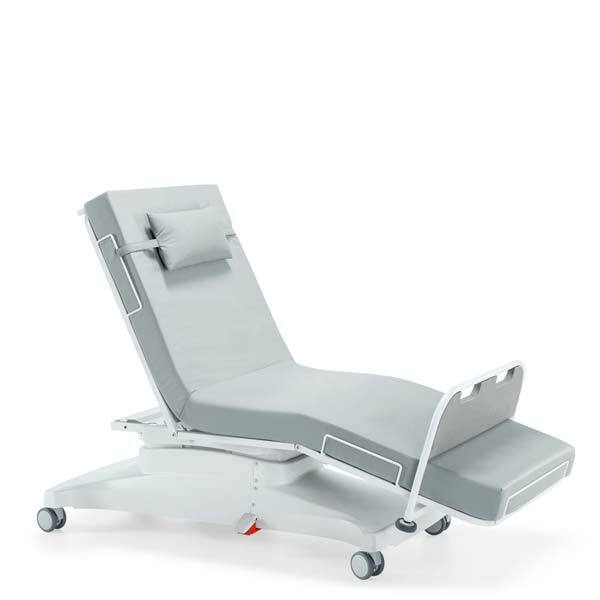 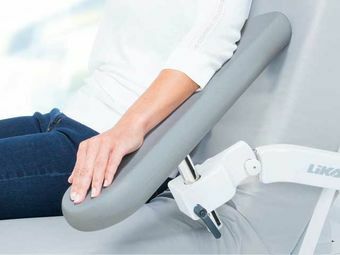 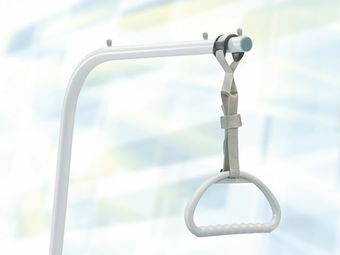 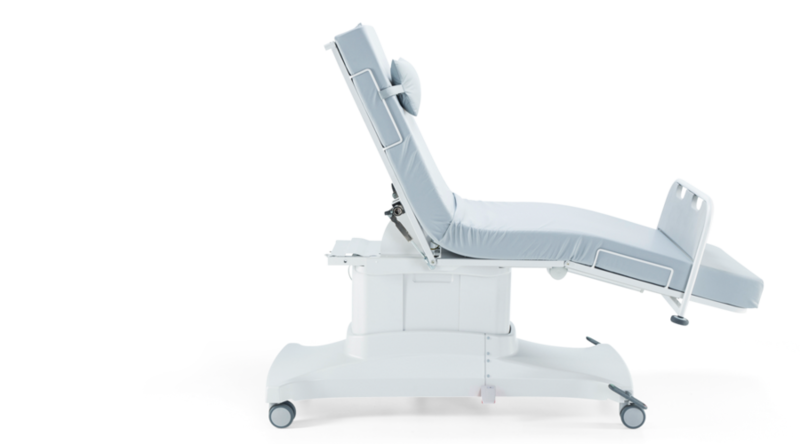 SELEXA® A5 is a TÜV SÜD certified therapy chair.